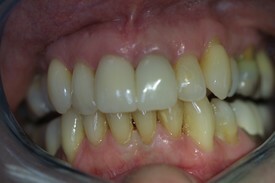 This patient had severely worn down teeth and discolored bonded restorations. 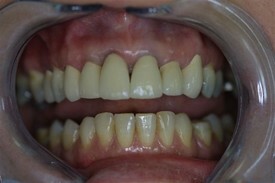 I replaced the four front teeth with all porcelain crowns. 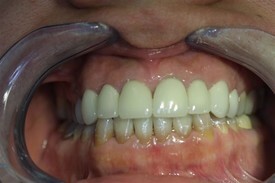 The patient is also wearing a night time appliance to protect her new dental work from grinding and clenching. 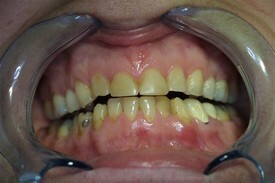 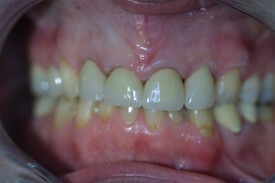 This patient was unhappy of the appearance of her front teeth. 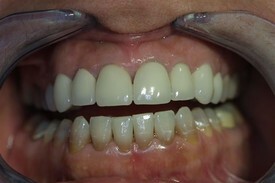 I placed an all porcelain crown on the darker tooth to strengthen it and block out the discoloration. 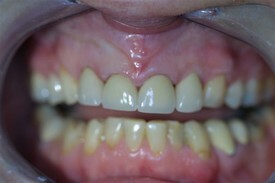 On the other tooth, I placed a porcelain veneer. 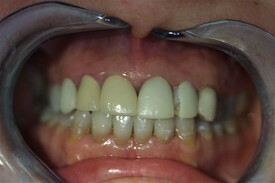 The patient was very pleased with the results! 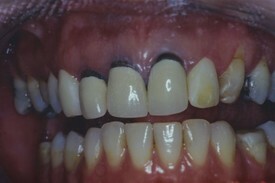 This patient had ill fitting upper anterior crowns. 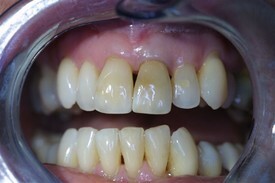 In order to improve the health and the appearance of her teeth, she had an upper gum procedure as well as new crowns. 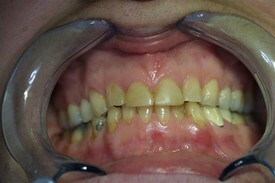 This young woman's job kept her in the public's eye, and she was unhappy with the failing dental work in her mouth. 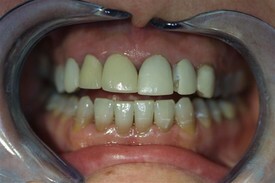 In addition to professional whitening of her lower tetracycline stained teeth, she opted for upper reconstruction of the existing work by 6 porcelain crowns.